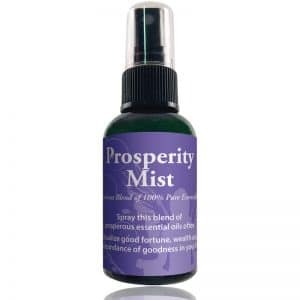 Spray this mist to clear your space and invite protection, peace, and clarity.Use this pleasant, fresh smelling aroma to raise your vibration for meditation and connection with the Divine. Enhance your creativity and good fortune. Palo Santo is also available neat in a 5 ml bottle. The name Palo Santo literally meaning Holy Wood says it all. This strong woody scent is traditionally used in Latin America to clear the energy and in healing. Extracted from the wood using distillation this oil is extremely concentrated and is a great alternative to burning sticks. Spray this around you and your space to rid yourself of unwanted energy and energetic attachments. Excerpted from The Essential Guide to Aromatherapy and Vibrational Healing by Margaret Ann Lembo. I first purchased this spray at a shop in Sarasota Florida a few years ago. Immediately after spraying the Palo Santo I knew this was the right blend to help clear the energy air around me. 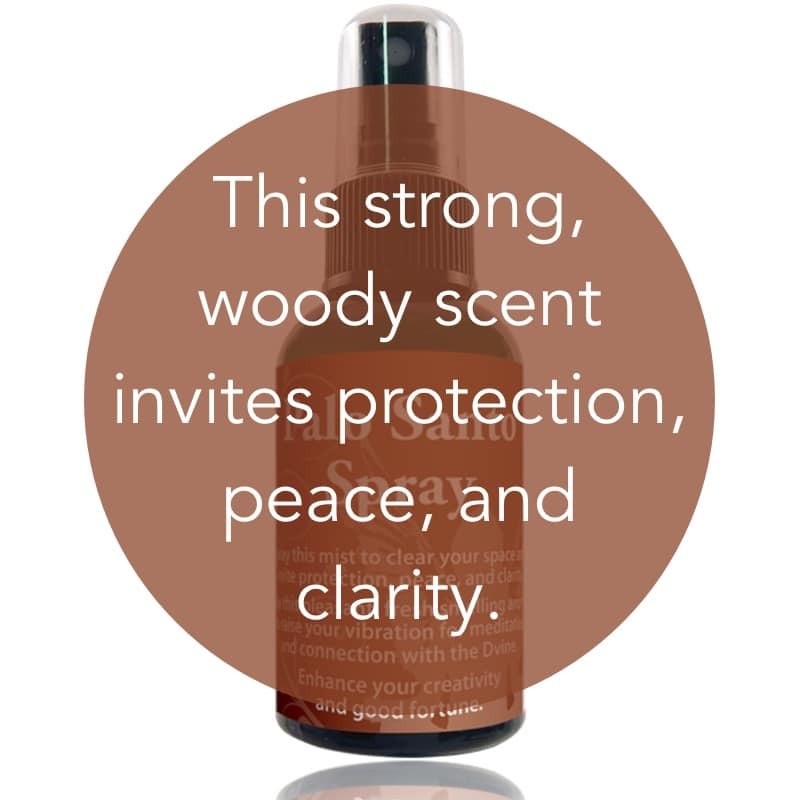 This has a fresh sweet woodsy scent that everyone in my household enjoys ( including my dogs). 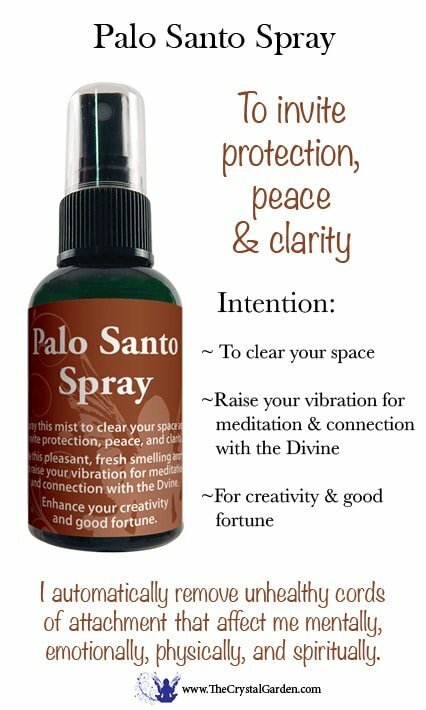 You won’t get a better mix of the Palo Santo spray anywhere else, as I tried a few others and they just don’t compare. My energy levels feel anew with this aroma. The last spray bottle I purchased was directly from the crystal garden receiving the order very quickly, nicely packaged. I love this blend, thank you so much!